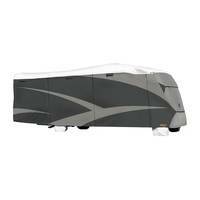 Looking to protect your Class C motorhome from everyday or harsh weather conditions like intense sun, rain, or heavy snow? 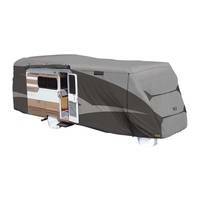 Check out these Class C RV Covers by ADCO to help prolong the life of your unit, one day at a time. Both the Tyvek Wind and SFS Aquashed Designer materials are light-weight and offer a range of sizes from 20' up to 32'. You're sure to find something that will be a perfect fit for you and your cover needs. Check the length of your unit from bumper to bumper, including a ladder or spare tire, to ensure you choose the correct size cover. If you should need any help in deciding the best fit for your Class C, you can always call us and we'll be happy to help!